We have a problem. At conventions around the world, TrekFans are besieged by a common foe: Not enough bandwidth. If the entire convention is over-run with geeks, it’s almost impossible to get a call through. Even SMS can be a challenge. The good news is that we have a solution. TrekFan members with an amateur radio can make short work of the bandwidth problem, coordinate times and locations and make it easier to share and pass messages throughout the facilities. Amateur radio looks like a very complex and technical challenge from the outside, but we’re here to tell you that it’s easier than it seems. Who are we? We are the TrekFan Frequency, a Facebook group run by licensed members of the Amateur Radio Service — And we want to help you learn more about this awesome hobby. 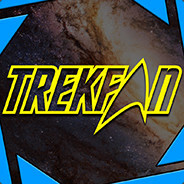 And we’re all part of TrekFan, just like you! If you’re already an amateur radio operator and you’re part of TrekFan and would like to help out, please let us know! Just send an E-mail to incoming@trekfan.org with your callsign and class and we’ll get you involved.